A brief introduction from Wikipedia about ISO 9000. The ISO 9000 family of standards is related to quality management systems and designed to help organizations ensure that they meet the needs of customers and other stakeholders while meeting statutory and regulatory requirements related to the product. The standards are published by ISO, the International Organization for Standardization, and available through National standards bodies. ISO 9000 deals with the fundamentals of quality management systems, including the eight management principles on which the family of standards is based. ISO 9001 deals with the requirements that organizations wishing to meet the standard have to fulfill. Third party certification bodies provide independent confirmation that organizations meet the requirements of ISO 9001. Over a million organizations worldwide are independently certified, making ISO 9001 one of the most widely used management tools in the world today. Despite widespread use, however, the ISO certification process has been criticized as being wasteful and not being useful for all organizations. More Quality related documents links coming soon. To help me spread more free links, kindly create a WEEBLY account from this link -- http://www.weebly.com/link/QCuQ9S -- and also get free 10$ start up credit. Google Earth and Google Maps completely revolutionized the way we interact with maps and aerial photography. Since the launch of these products by Google, we all started by locating our homes and workplaces on them slowly we all figured out various ways how these can be helpful to us. And I may be biased being an Architect myself, but I seriously feel the architectural, planning and urban design professionals and students have greatly benefited from this tool. All our design exercises start with the site selection & study and this is the time when we require such high resolution Google Maps imagery for study. But the problem that comes is the output which we can generate from Google Earth and Google Map standard editions is of low resolution, generally limited by the screen resolution of the monitor itself. And as we require these images to create large underlay plans for studying, printing and related aspects generally we end up manually stitching individual low resolution images to create base maps. This is not only a time consuming process, but also can lead to errors and requires use of high end photo editing tools like Photoshop and gimp. So in this tutorial I will cover how we can generate high resolution Google Maps imagery using Google Maps and a simple tool to download and combine the images. Download the tools used in the tutorial video from links below and follows the steps shown in the video. 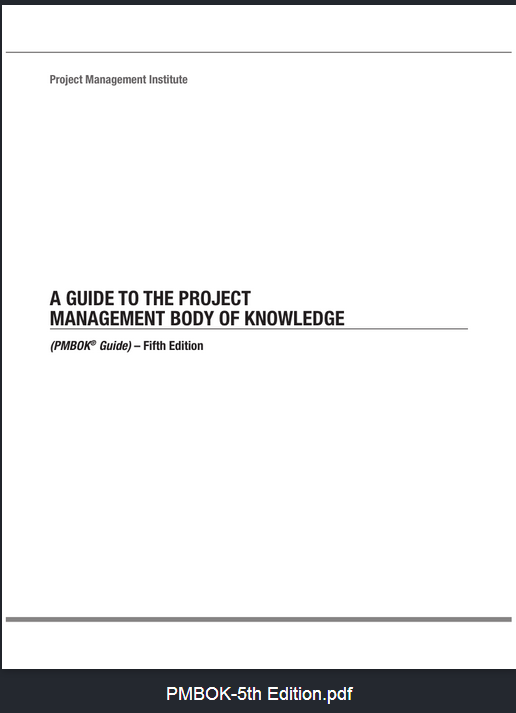 Here is the first share of this website, and what better than the latest edition of Project Managers Bible, the Project Management Body of Knowledge (PMBOK) 5th Edition. Author runs another Website blog titled "Architect Project Manager"
where he talks about stuff which can be of day to day help to Building Design and Construction professionals.